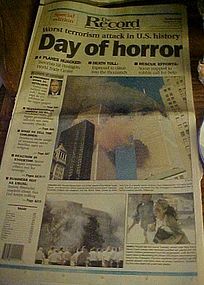 Vintage 9-12-01 newspaper of when the twin towers, trade center and the Pentagon were attacked by terrorists. 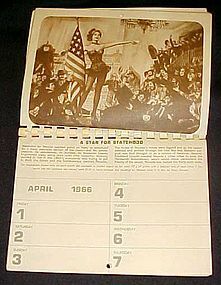 A collectible momento of the largest terrorism act our great country mourns to this day. This was a special edition printed by The Record newspaper serving Stockton,San Juaquin, and the Mother Lode, in California. Paper is just as nice as the day if was purchased, and never opened. I have 5 available in the same condition. Price is per paper.